As your dedicated vacation planners, we recommend you that you plan your vacation as much as possible in advance. Nothing is more disappointing as being at the destination only to find out that you will not be able to do what you had been looking forward to so much, because your favorite activity was just sold out. Book a transfer with us, and you will be received by our friendly bilingual staff, who will make you feel at home from the moment you arrive in Puerto Vallarta. Your host(ess) will have confirmed your hotel-reservations, and will have transportation ready for you on arrival, to make your vacation worry-free. You will be provided with a Welome Package, and an orientation briefing once you are settled at your hotel. Tour host(ess) will give you all the tips you need in order to fully enjoy Puerto Vallarta. If you have booked any excursions in advance, he/she will give you the tickets at the orientation briefing. Prices per person for round trip service based on minimum two guest. Zone 4 – Please contact us at: info@royale-tours.com and we will quote your transfer on the number of passengers. Please click here to view the map. 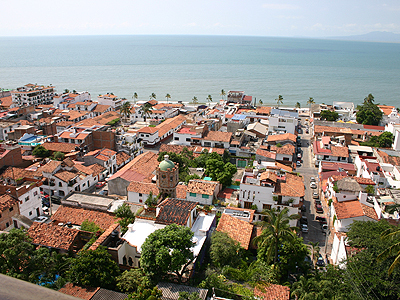 A must if this is your first time in Puerto Vallarta, a most complete tour of the city with its highlights and hidden spots. Transfer from the hotel and English-speaking tour guide included. From December through March, Puerto Vallarta is one of the best destinations in the world to view humpback whales in their natural habitat. All our special whale watching tours have bilingual guide, specialized in Marine Sciences. On board on the Zodiac boat, we have a hydrophone system to hear whales underwater. An incredible experience! A boat trip to the beautiful Marietas Islands, a marine life and bird sanctuary which has been subject to thorough studies by specific personalities such as Jacques Cousteau. Includes: breakfast, lunch, open bar, kayaks and snorkeling gear. Sample a little of our culture and attend a real Mexican Fiesta with the best group of folkloric dancers wearing traditional costumes. Included: Mexican Buffet dinner, show, mariachi music and drinks. Exciting tour from the foothills of the Sierra Madre passing by small villages and riding up along the banks of the Mascota river. No riding skill required. Transfer from hotel, lunch, open bar and English-speaking guides included. Boat trip to the beautiful Caleta beach at sunset time, candlelit dinner on the beach and torchlit pre-hispanic show. Includes: buffet dinner, open bar on board and at dinner, show and entertainment. As examples, diving, sailing, deep sea fishing, San Blas jungle tours, tours to Guadalajara and Tequila are also available. We will be delighted to provide you with any additional information and serve you.